Paul's latest release 'True Meanings', entered the UK charts at No 2. It is his fourteenth solo album and the twenty-sixth studio album of his career that began in 1977 with The Jam's debut album 'In the City'. Five era-defining albums followed before he experienced further recognition with The Style Council and subsequent success with numerous solo releases such as 'Wild Wood', 'Wake Up The Nation' and 'Sonik Kicks'. 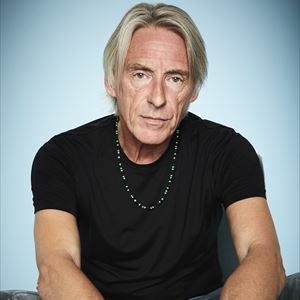 Paul Weller's versatility and creative edge has connected with fans across the generations, making him one of the most significant players of the British Music scene over the past four decades. A cultural icon, his impact, relevance and popularity with the public, fellow musicians and critics alike remains unabated in his milestone 60th year. Paul Weller made his Forest Live debut in 2004 and has played to sell-out crowds ever since, with his most recent appearances being in 2014. Commenting on the new dates, Paul said, "The Forest shows are always great gigs for us and it's been a while since I last did them so I'm really looking forward to them next year."